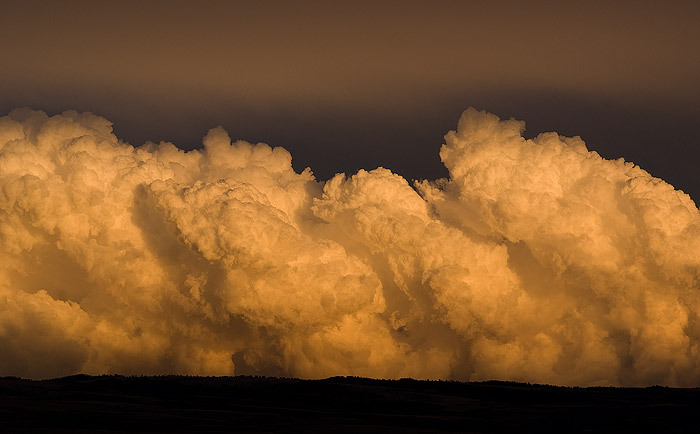 The fading evening light adds an eerie glow to a gathering thunderstorm over mountains east of Laramie. Field Notes: Sony Alpha camera, Minolta 100 2.8 macro lens. Photo © copyright by Brett Deacon.